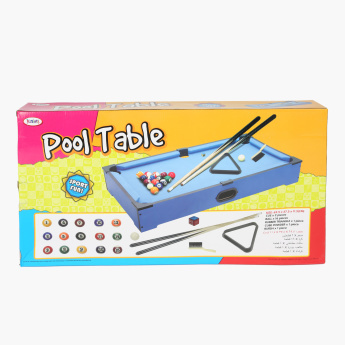 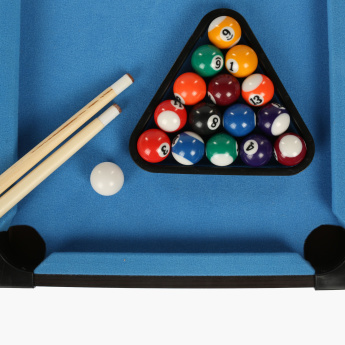 Inspire your little one to become an expert billiards player with this exciting pool table playset. 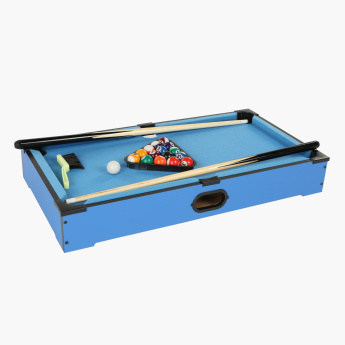 Built using a sturdy material, this table is quite long-lasting. It comes with a billiards board, two pool cues, 16 balls, and a triangle. 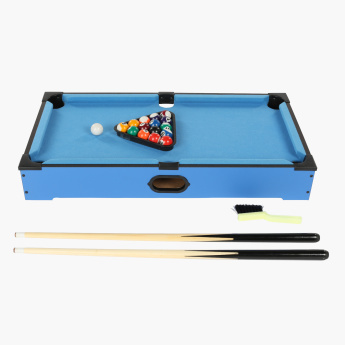 Compact and portable, this pool table works with any tabletop.